Former deputy mayor Salim Mehajer in court over assault charges. 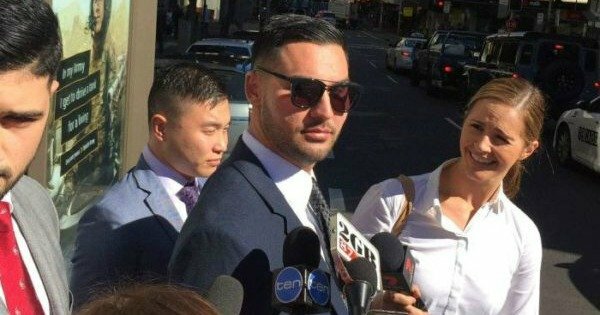 Salim Mehajer pleads not guilty to assaulting taxi driver, stealing EFTPOS machine. Former Auburn deputy mayor Salim Mehajer has pleaded not guilty over the alleged assault of a taxi driver and stealing an EFTPOS machine in central Sydney. Mehajer made a brief court appearance at Central Local court today, after the incident earlier this month. On April 2, police alleged Mehajer, 30, stole an EFTPOS machine and mobile phone, before assaulting the driver in Pyrmont. Emergency services were called to the area following reports of an assault about 4:30am. About 5:10am, officers arrested Mehajer on the corner of William Street and Bourke Street in Darlinghurst. He was taken to Day Street Police Station and charged with assault occasioning actual bodily harm and larceny. The matter will return to court on June 9.